This cave has been discovered by Barbara Białek, PADI diving instructor, 26th June 2016, who come to Vis just for one week. 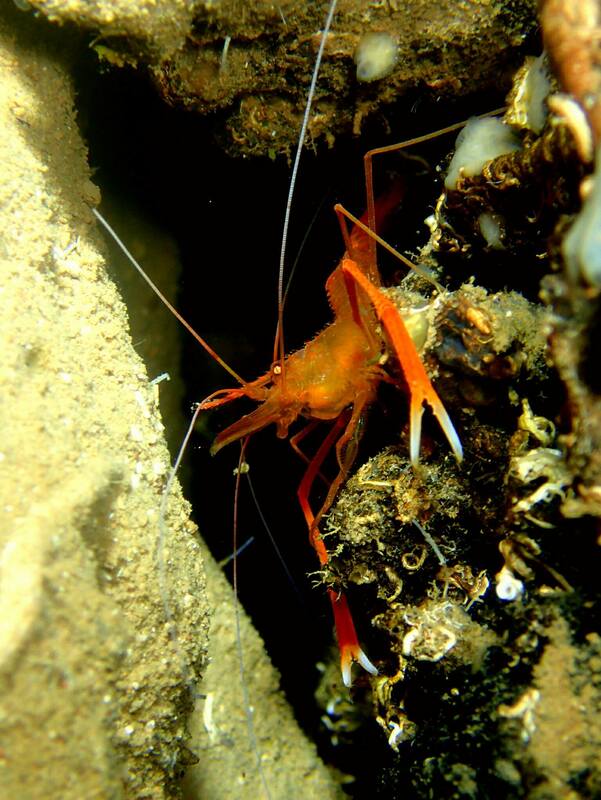 The discovery trip was organized by our Nautica Vis Diving Center. Since then only we have this pleasure to know and dive in this unique place. Name was given by our boat skipper Toma. The northern part of the Vis island wilder than the southern part – the road network is not developed and the only mark after the progression of settlement is the abandoned village of Okljućna. Moreover, there are definitely less picturesque beaches and bays than in the south of the island. This does not mean, however, that in this part there is a lack of attractions for visitors – it is here, where the largest natural cave on Vis – Kraljičina Špilja – is located. 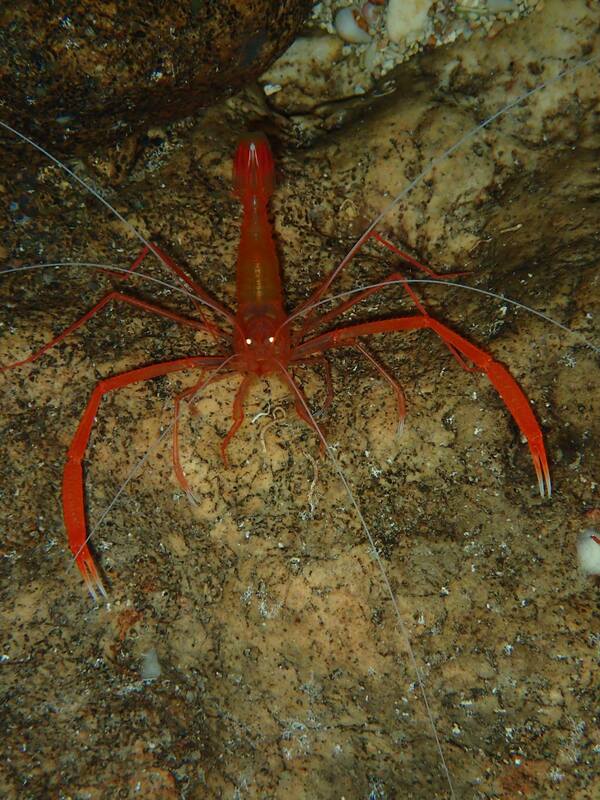 Its presence suggests than underwater the forms ensuig from the karst processes can be also expected. The coast itself is made up of high majestic walls, which feet should be sought at the depth of about 80 m BSL. Mentioned majestic walls are worth taking a look at – rocks sometimes have amazing shapes. One of them resembles to our skipper a pokemon after what the dive site was named. 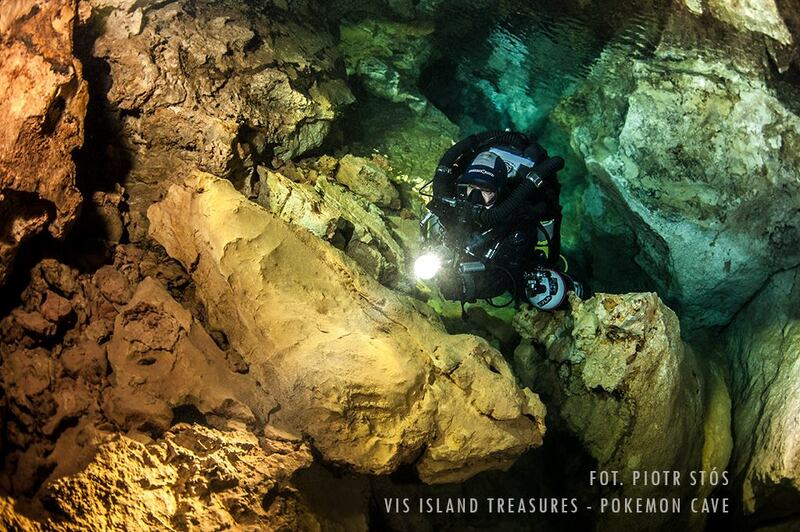 The part cave, in turn, comes from the underwater cave discovered by the divers of Nautica Vis Diving Center. The entrance to the cave is located at the depth of about 18 m, and the cave itself goes up to the surface deep in the wall. 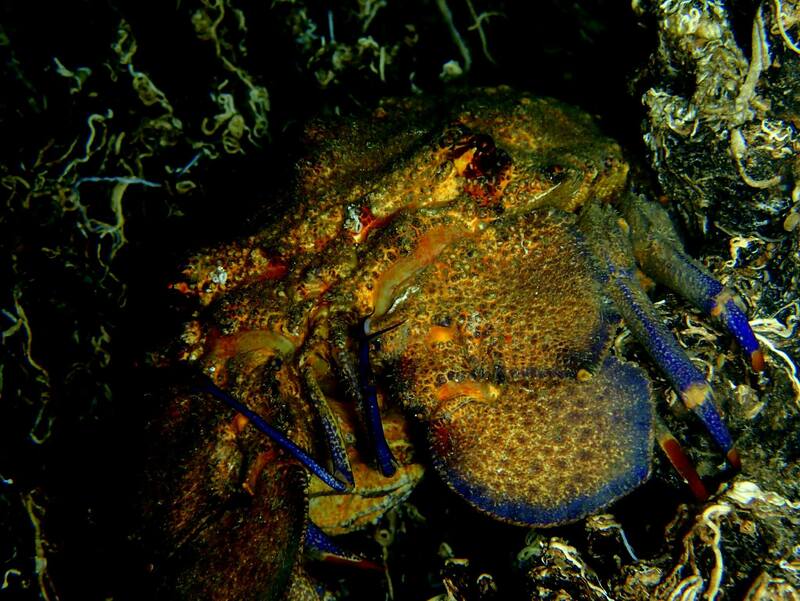 The cave is about 50 m long and it width and height is more or less 6 m. Various crustaceans can be found in this dark place – from little shrimps, through spiny lobsters to enormous slipper lobsters and European spider crabs. What distinguishes this cave from other surrounding ones is the presence of air above the water surface in the cave and a thermocline and halocline at the depth of about 6 m. Water definitely loses on salinity, and its temperature above the thermocline is more or less 10 degrees. The dive in this place is always drift and starts close to the rock called pokemon, among shoals of small fish. Colourful, due to coverage by different organisms, the wall is vertical, so the divers are required to keep perfect buoyancy. After about 15 minutes of diving, the divers reach the cave – the entrance and the richness of sea life on the ceiling are impressive. 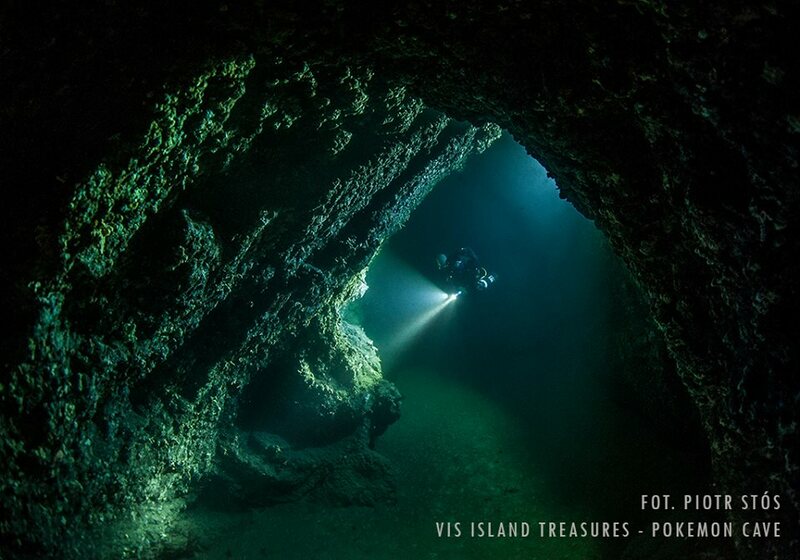 The cave, due to darkness, lack of continuous contact with daylight, the possibility of loss of orientation due to raising of sediments from the bottom and inverted diving profile, can be entered only by advanced divers. 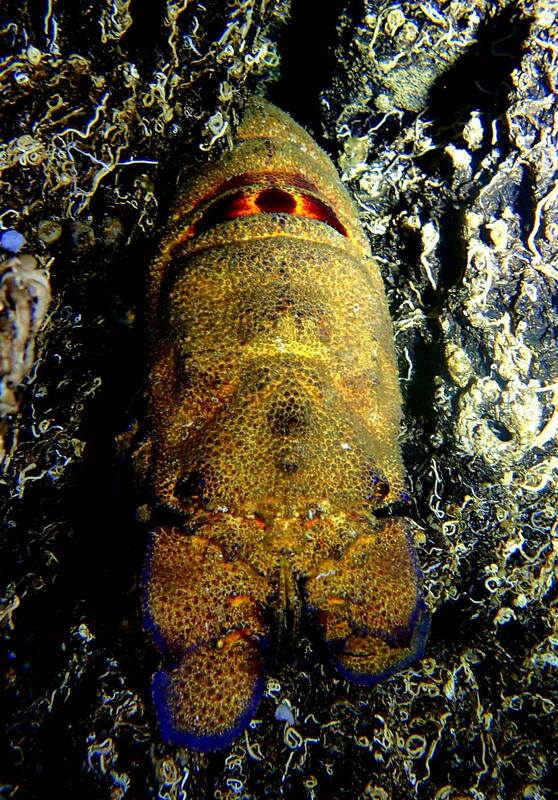 After leaving the cave the dive continues along the wall and finishes close to recognizable boulders, among which octopuses and red scorpionfish hide.